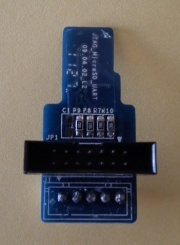 The cubieboard MicroSD breakout board provides JTAG and UART over the SD-Card connector. 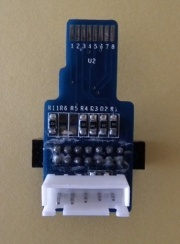 The UART connector is a 5 pin JST-XH. For booting, apply the FEL/USBBoot procedure. Add 'UART0_PORT_F' to the option of the *_FEL line of your board in boards.cfg. Make sure it also contains 'SPL_FEL' instead of 'SPL'. First, to setup u-boot for FEL mode, use <board>_felconfig instead of the usual <board>_defconfig. 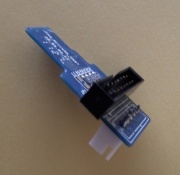 microSD Sniffer (@sparkfun.com) - header needs to be soldered. SD to MicroSD/TransFlash Card Converter Module (@dealextreme.com) - has mini pins inside. Buy from Tom Cubie's site. This page was last modified on 23 January 2015, at 23:16.